Routine dental treatments like fillings are usually best handled by an affordable dentist, but if you suffer from advanced gum disease, or you plan to have tooth implants placed, you may need to see a specialist known as a periodontist. It’s especially important to see a periodontist if you use tobacco or you have conditions that predispose you to periodontal disease. These include diabetes, osteoporosis, cardiovascular disease, and lung disease. Severe periodontal disease can result in tooth loss and may even affect your general health, so you need an experienced professional on your side. A Periodontist’s Education and Skills After completing a four-year undergraduate degree and then becoming a Doctor of Dental Surgery, periodontists must complete a residency program, and pass strict written and oral exams to earn board certification. Certified periodontists are skilled in performing non-surgical periodontal treatments like scaling and root planning and surgical procedures like regeneration, pocket reduction, and gingivectomy. They also perform dental implant placement and cosmetic procedures like gingival sculpting and ridge augmentation. Your First Periodontal Visit At your first visit, your periodontist will take a complete medical history, evaluate your condition, and formulate a treatment plan. Be sure to bring a list of all your medications, including over-the-counter medicines and nutritional supplements. Your physical examination will include an evaluation of your head, neck, jaw, mouth, and throat as well as your teeth and gums. Several x-rays may be taken. Once a diagnosis is made, your periodontist will discuss your treatment options, and offer a comprehensive plan that includes ongoing maintenance. 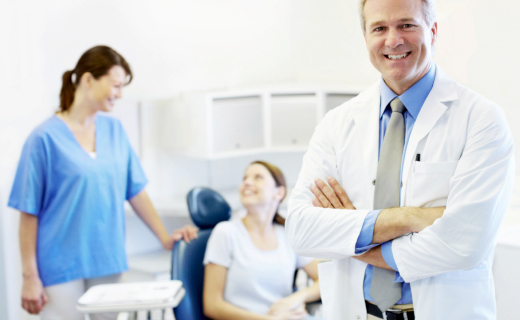 How to Choose a Periodontist Finding the best periodontists in your area may be as simple as asking your dentist for a referral. If you’re tackling the job on your own, consider the following key factors before choosing your provider.